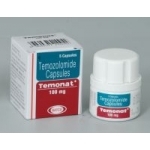 TemoNat (Temozolomide) by Natco is generic version of Temodal.It comes in 20 mg, 100 mg and 250 mg in form of capsules. TemoNat(Temozolomide) (tem-oh-ZOHL-oh-mide) belongs to the general group of medicines known as antineoplastics. It is used to treat specific types of cancer of the brain in adults whose tumors have returned and whose tumors have just been diagnosed. 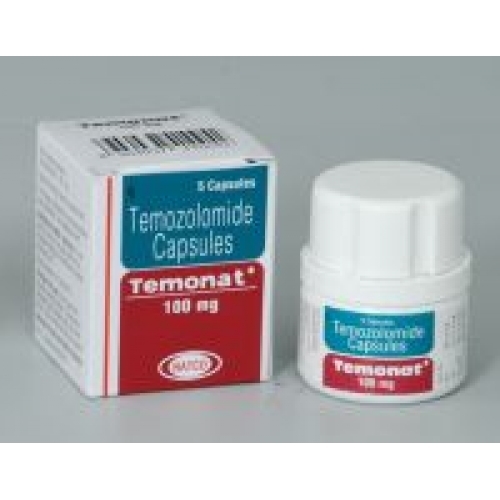 TemoNat(Temozolomide) seems to interfere with the growth of cancer cells, which are then eventually destroyed by the body. Since the growth of normal body cells may also be affected by TemoNat(Temozolomide), other effects will also occur. Some of these may be serious and must be reported to your doctor. Before you begin treatment with TemoNat(Temozolomide), you and your doctor should talk about the good this medicine will do as well as the risks of using it. Allergies—Tell your doctor if you have ever had any unusual or allergic reaction to dacarbazine or TemoNat(Temozolomide). Also tell your health care professional if you are allergic to any other substances, such as foods, preservatives, or dyes. Pregnancy—There is a chance that this medicine may cause birth defects if it is taken at the time of conception or if it is taken during pregnancy. You should wait for 6 months after the treatment is finished before becoming pregnant. Studies in rats and rabbits have shown that TemoNat(Temozolomide) causes birth defects in the fetus and other problems (including miscarriages). Be sure that you have discussed these possible effects with your doctor before taking this medicine. Before taking TemoNat(Temozolomide), make sure your doctor knows if you are pregnant or if you may become pregnant. It is best to use some kind of birth control while you are taking TemoNat(Temozolomide). Tell your doctor right away if you think you have become pregnant while taking TemoNat(Temozolomide). If you are a man taking TemoNat(Temozolomide) you should be very careful not to father a child up to 6 months after treatment. Use a good form of birth control. Treatment with TemoNat(Temozolomide) may make you sterile. You may want to save and freeze your sperm before you start treatment with TemoNat(Temozolomide) in case this happens. Breast-feeding—It is not known whether TemoNat(Temozolomide) passes into human breast milk. However, TemoNat(Temozolomide) is not recommended during breast-feeding because it may cause unwanted effects in nursing babies. 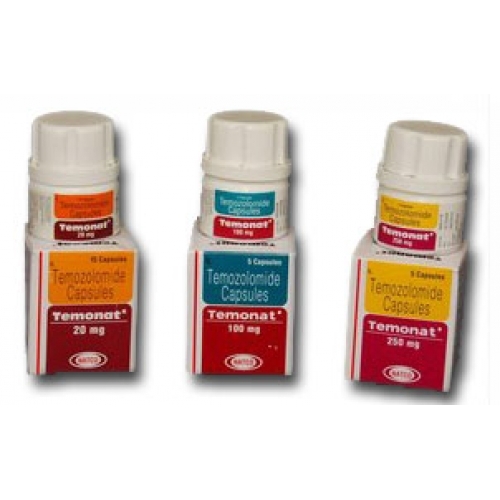 Children—Studies on this medicine have been done only in adult patients, and there is no specific information comparing the use of TemoNat(Temozolomide) in children with use in other age groups. Take this medicine only as directed . Do not take more or less of it and do not take it for a longer time than directed. To do so may increase the chance of unwanted side effects. This is especially important for elderly patients, who may be more sensitive to the effects of this medicine. 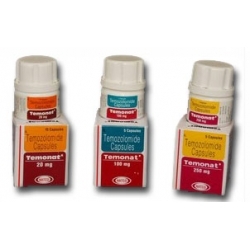 TemoNat(Temozolomide) often causes nausea and vomiting. However, it is very important that you continue to take the medicine, even if you begin to feel ill . Taking the medicine on an empty stomach or at bedtime may help to lessen the nausea. Ask your health care professional for other ways to help lessen these effects. 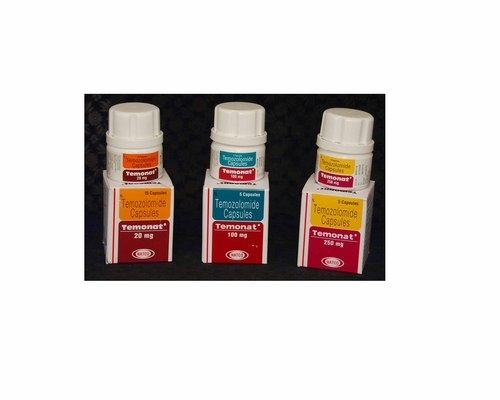 TemoNat(Temozolomide) should be taken at the same time each day in relation to meals. 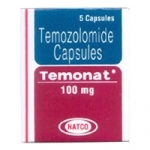 TemoNat(Temozolomide) capsules should be swallowed whole with a full glass of water. The capsules should not be chewed, crushed or broken open . If the capsules are opened accidentally, do not allow the powder to come into contact with your skin or into your mouth or nose. Be careful not to inhale the contents of the capsule. Dosing—The dose of TemoNat(Temozolomide) will be different for different patients. The dose that is used will depend on a number of things, including the patient's body size and various laboratory test results. 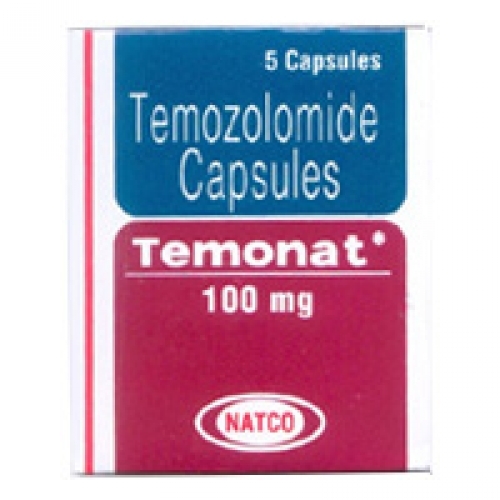 If you are taking TemoNat(Temozolomide) at home, follow your doctor's orders or the directions on the label . If you have any questions about the proper dose of TemoNat(Temozolomide), ask your doctor. Missed dose—If you miss a dose of this medicine, do not double the next one. Check with your doctor for further instructions. While you are being treated with TemoNat(Temozolomide), and after you stop treatment with it, do not have any immunizations (vaccinations) without your doctor's approval . TemoNat(Temozolomide) may lower your body's resistance, and there is a chance you might get the infection that the immunization is meant to prevent. In addition, other persons living in your household should not take oral polio vaccine, since there is a chance they could pass the polio virus on to you. Also, avoid persons who have taken oral polio vaccine within the last several months. Do not get close to them, and do not stay in the room with them for very long. If you cannot take these precautions, you should consider wearing a protective face mask that covers the nose and mouth. 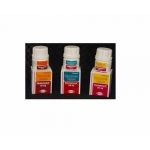 Along with its needed effects, TemoNat(Temozolomide) may cause some unwanted effects. Although not all of these side effects may occur, if they do occur they may need medical attention.